There have been many speculations of what to expect from .CO in the coming years. Here is an interesting study by Brands-and-Jingles (FB, Twitter). We looked on it a bit from a different angle while analysing top .me sites on Alexa. To start with, there are currently 249 .co sites in the Alexa top million list. That's not much, considering that .me is doing four times better with less domain names. Never mind, .co might be too young to judge upon it. Our of those 249, nearly two thirds, 165 to be precise, don't have a respectful .com version in the list. Which is good. Means that there is a good potential in the TLD. Among the last 33% of the names, only 11 domain names (challenge.co, t.co, likey.co, eddale.co, opportunity.co, angel.co, halloweenstore.co, howtogetsixpackabs.co, thechallenge.co, parsdev.co, and film-izle.co) have better rankings than .com. 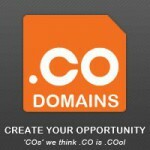 The other 73 .co domain names do much worse than their .com siblings. While the average difference in ranking for .CO winners is 293,871, the corresponding number for .COM champions is almost twice of that leveled at 538,535, meaning, potentially brandable .co's are still half way down in the Alexa list. * NO .COM means that no corresponding .com counterpart was found in the Alexa top million. ** The table can also be downloaded in PDF format. To summarise the say, .co will need to clean up those conflicting .com issues and focus on its true jingles. At the moment, I am not buying them, as there is nothing good left. In the retrospecctive, reflecting back on the land rush - they were pricey too. To beat .COM, .CO names need to climb up some 39+ million positions in the Alexa ranking. Hell of a job, don’t you think? Another surprise, one does not see live.co/.com, blogger.co/.com and msn.co/.com – three global top 10 sites they are. The reason being – they most probably don’t enjoy much of typed in traffic. Very interesting data, albeit preliminary. I’d be very interested in seeing the same study about 6-8 mos. from now after the .co’s have been able to age a bit, and get out of the search engine sandboxes. Some 36,197 domains in that list have “.co.**”. This is 4% of the total. Many of them should want to secure .co as well. Good point. 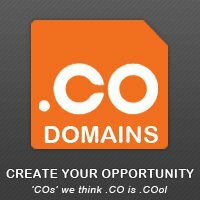 Those seven ccTLDs with more than 1000 names: co.cc, co.il, co.in, co.jp, co.kr, co.uk, and co.za. providing more confidence to .co investors.